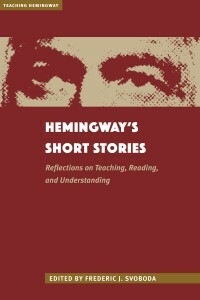 The Teaching Hemingway Series presents multiauthor collections of essays on various approaches to teaching the emergent themes in Hemingway's major works to a variety of students in secondary public and private schools, and at the undergraduate and graduate level. Among other topics, forthcoming volumes will explore the role of gender, modernism, the natural world, war, and race in Hemingway's most enduring works. Teaching Hemingway and Race provides a practicable means for teaching the subject of race in Hemingway’s writing and related texts—from how to approach ethnic, nonwhite international, and tribal characters to how to teach difficult questions of racial representation. Rather than suggesting that Hemingway’s portrayals of cultural otherness are incidental to teaching and reading the texts, the volume brings them to the fore. Ernest Hemingway’s place in American letters seems guaranteed: a winner of Nobel and Pulitzer prizes, Hemingway has long been a fixture in high school and college curricula. Just as influential as his famed economy of style and unflappable heroes, however, is his public persona. Hemingway helped create an image of a masculine ideal: sportsman, brawler, hard drinker, serial monogamist, and world traveler. Yet his iconicity has also worked against him. Because Hemingway is often dismissed by students and scholars alike for his perceived misogyny, instructors might find themselves wondering how to handle the impossibly over-determined author or even if they should include him on their syllabi at all. Teaching Hemingway and Modernism presents concrete, intertextual models for using Hemingway’s work effectively in various classroom settings, so students can understand the pertinent works, definitions, and types of avant-gardism that inflected his art. 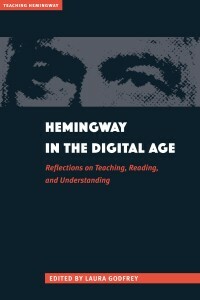 The fifteen teacher-scholars whose essays are included in the volume offer approaches that combine a focused individual treatment of Hemingway’s writing with clear links to the modernist era and offer meaningful assignments, prompts, and teaching tools.